If your skin looks dull or rough, or it’s showing too many signs of aging to suit you, consider a skin rejuvenation treatment at Apex Medical Professionals in Fair Lawn, New Jersey. Walid Elkhalili, MD, and the team offer a variety of customized facials and chemical peels to enhance the appearance of your skin. Call the practice or schedule an appointment online today. Skin rejuvenation treatments improve the appearance of your skin, helping you to look younger and healthier. In addition to facials and chemical peels, your doctor may prescribe medication to reduce acne or resolve other skin concerns. During your facial treatment, you relax on a treatment bed while your doctor or provider takes care of your skin. Facials usually include cleansing, exfoliation, extraction, and moisturizing steps. 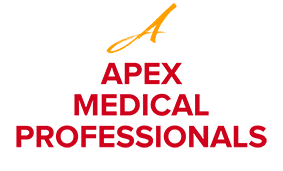 Your doctor at Apex Medical Professionals may include additional steps like chemical peels or injectable cosmetic treatments such as Botox® or dermal fillers to rejuvenate your appearance. A chemical peel is a treatment that uses a chemical solution to enhance the appearance of your skin. The chemicals trigger a deep exfoliation that causes the top layer of old, dry skin to peel away, revealing fresh new skin underneath. The doctors use chemical peels on your face, neck, and hands. At Apex Medical Professionals, the doctors provide three strengths of chemical peels, depending on your specific skin concerns. You can choose from superficial, medium, and deep peels. Chemical peels can cause a stinging sensation, depending on the strength of your treatment. The stronger the peel, the deeper and more thorough your exfoliation. For example, after a deep peel, you may want to take a couple of days off as your skin will be very sensitive, and you can experience peeling and flaking for up to two weeks after your treatment. How should I take care of my skin after a skin rejuvenation treatment? Your doctor gives you specific aftercare instructions following your skin rejuvenation treatment. Many chemical peels and acne medications can increase your skin’s photosensitivity, and you’ll need to take care to avoid the sun and wear sunscreen. Call Apex Medical Professionals or schedule an appointment online today to discover how skin rejuvenation treatments can help you look your best.